Revered for millennia in the Chinese spiritual tradition, Chuang Tzu stands alongside the Tao Te Ching as a founding classic of Taoism. The Inner Chapters are the only sustained section of this text widely believed to be the work of Chuang Tzu himself, dating to the fourth century B.C.E. 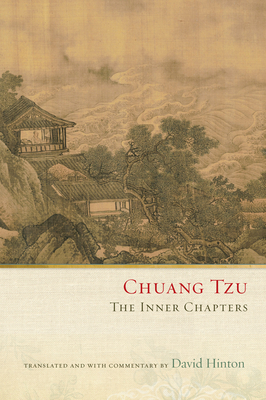 Witty and engaging, spiced with the lyricism of poetry, Chuang Tzu's Taoist insights are timely and eternal, profoundly concerned with spiritual ecology. Indeed, the Tao of Chuang Tzu was a wholesale rejection of a human-centered approach. Zen traces its sources back to these Taoist roots -- roots at least as deep as those provided by Buddhism.But this is an ancient text that yields a surprisingly modern effect. In bold and startling prose, David Hinton's translation captures the "zany texture and philosophical abandon" of the original. The Inner Chapters' fantastical passages -- in which even birds and trees teach us what they know -- offer up a wild menagerie of characters, freewheeling play with language, and surreal humor. And interwoven with Chuang Tzu's sharp instruction on the Tao are short-short stories that are often rough and ribald, rich with satire and paradox.On their deepest level, the Inner Chapters are a meditation on the mysteries of knowledge itself. "Chuang Tzu's propositions," the translator's introduction reminds us, "seem to be in constant transformation, for he deploys words and concepts only to free us of words and concepts." Hinton's vital new translation makes this ancient text from the golden age of Chinese philosophy come alive for contemporary readers.